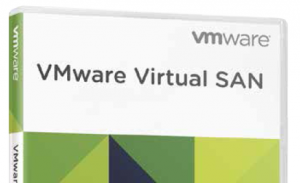 Last week, VMware has announced the general availability of VMware Virtual SAN. At a webcast event that was held a few days ago they did not release licensing and pricing information. Today VMware disclosed the secret: Virtual SAN is priced at $2,495 per CPU and at $50 per user for VDI deployments. Let's see how competitors at the Hyper-Converged market like Nutanix, Simplivity, Pivot3 or Scale Computing will react. Standalone license without scale limit. Licensed per CPU socket. Standalone license to be used for Virtual Desktops only.